Alicia is from Buffalo, NY. She recently relocated to Arizona from Charlotte, NC where she lived for the past 12 years. 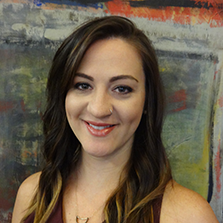 She has been a cosmetologist for 4 years and has truly enjoyed making her clients feel fabulous and confident in their own skin. Consultations are important to her to understand the needs and desires of each client and educating them with styling tips and the right products for their hair. 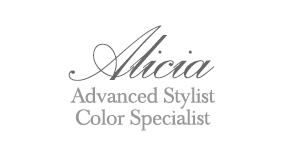 Alicia has had styling and product education with Kerastase, Bumble & Bumble and Aveda, and advanced color training with Wella and Inoa for the latest trends and techniques including Balayage and Ombres.